This year’s Nobel Prize in Economics has been awarded to a man who brought the ‘nudge’ into popular parlance and bridged the gap between psychology and the economy. 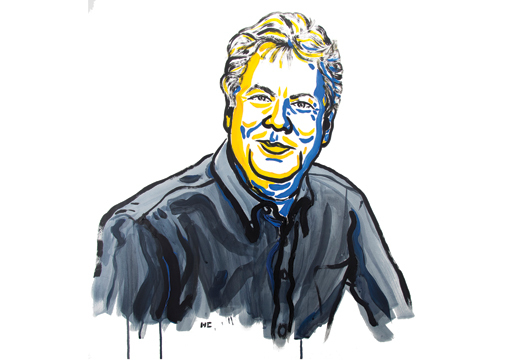 Behavioural economist Professor Richard Thaler (University of Chicago) dubbed the ‘father of behavioural economics’ has spent his career encouraging economists to accept that humans are irrational – but predictably so. Thaler has helped explain, through theories of limited rationality, how people simplify financial decision-making by creating separate accounts in their minds, focusing on the narrow impact of each individual decision rather than its overall effect. He has also shown that our human aversion to loss means people value the same item more highly when they own it compared to when they don’t – a phenomenon called the endowment effect. Thaler has also shed new light on self-control – or our lack of it. He showed how to analyse self-control problems using a planner-doer model, similar to the frameworks psychologists and neuroscientists use to describe the internal tension between long-term planning and short-term doing. Giving in to temptation in the short term is one of the reasons our long-term goals fail; however, Thaler has also shown in his applied work that nudge techniques can improve self-control in situations where we plan for the long term. And how is Thaler planning to spend the nine million Swedish kronor prize money? ‘As irrationally as possible,’ he said.